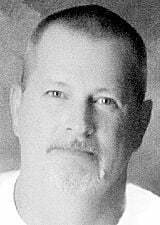 RACINE—Joseph Allen Barnes, 58, passed away on Sunday, February 3, 2019 at his residence. Joe was born in Hollywood, CA on March 6, 1960, the son of Clyde and Mary Barnes. He was employed at J.I. Case for almost 30 years. Joe loved riding his Harley. He will be missed by his greatest love of 20 years, Leeann Barnes; his children, Bre Auna, Zachary, and Colin Barnes; grandchildren, Keegan, Karter, Kolton, and Kaleb Barnes, mother, Mary, brother, Jim; sisters, Judy (Larry) Gallegos and Jackie (Steven) Carvajel. He is further survived by nieces, nephews, other relatives, and many great friends. Joe was preceded in death by his father, Clyde Barnes. Memorial services for Joe will be held at Sturino Funeral Home on Saturday, February 9, 2019 at 12 noon. Visitation at the funeral home from 10:30 a.m. until service time.